Welcome to the 3rd Asia-Pacific conference on Coaching Science. On behalf of Asia Association of Coaching Science (AACS), I would like to extend my warm welcome to all participants in the 3rd Asia-Pacific conference on Coaching Science to be held in Korea National Sport University. The conference aims to bring together coaches, coach educators, researchers and sport scientists to address issues in coaching; it is to learn about new coaching science, and to share experiences with the top coaching development experts in Asia-Pacific regions and beyond. It has been a dream of many of us to promote scientific and professional understanding and exchange in coaching science in Asian regions. The Asian continent is the largest of continents covering one-third of the world`s population. Asianization that Asia will play a leading role in the global village is coming true . PyeongChang 2018 Winter Olympics, Tokyo 2020 Summer Olympics, Beijing 2022 Winter Olympics will be the historical Olympic games consecutively hosted by Asian countries. The Asia Association of Coaching Science(AACS) was founded on 7th June 2012 in Taipei, Taiwan. We wrote our own coaching science history instead of playing a passive role in coaching and sport science history written by the hands of western countries. There has been a phenomenal and rapid development in the field of coaching and sport science. The AACS was founded for the need to address the specific concerns of Asia coaching science. The mission of the Asian Association of coaching science shall be : To promote and maintain the highest possible values in sport and coaching profession, and to collaborate for the development of theory and practice of sport coaching in Asia regions. It is my belief that the development of coaching and sport science relies on your engagement to achieve its goal of maximal outcome in the Asia-Pacific and also in the world. Finally, I hope that your active and enthusiastic participation will promise the success of the conference . 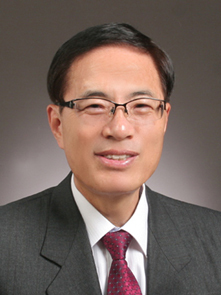 Tae Won JUN, Ph.D. President of Asia Association of Coaching Science.